Just imagine relaxing in your favourite comfy chair and dreaming about what mouthwatering Indian food you could be devouring tonight? If only you could order online through our new website by just a few clicks. Spice of Raj located on 326 Christchurch Road, London SW19 2NX and have someone else cook your meal and deliver it for you. Browse the menu and see what you fancy, it really is that simple. 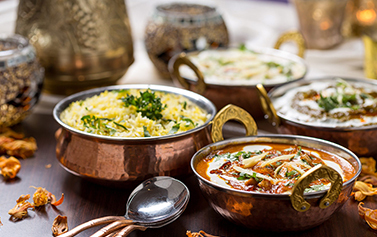 Want to enjoy some delicious Indian food, in a well presented, relaxed and enjoyable atmosphere? Best Indian food in the area. Amazing staff. Very friendly. Great meal, arrived on time.